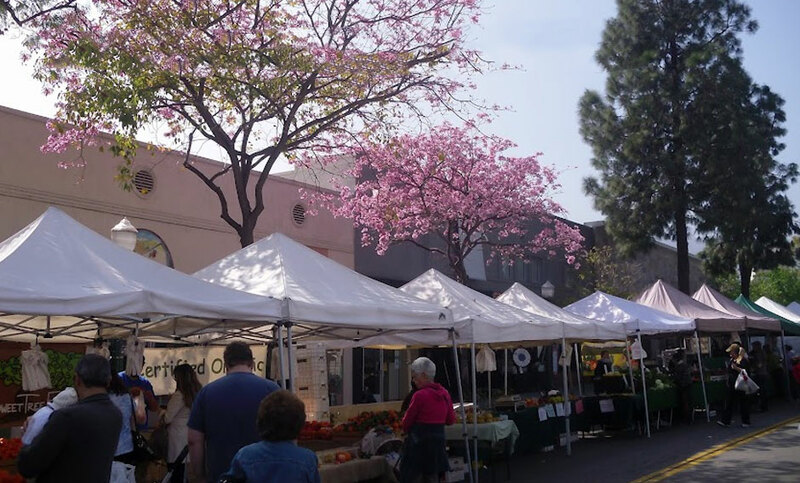 T he Montrose Harvest Market is a traditional farmers market, offering the best produce and flowers from certified Southern California growers and a variety of prepared foods. The Marketplace serves up a wide variety of antiques, collectibles, artisans and an interactive children’s area. Check the Montrose General Calendar for scheduled special events. Also visit the The Marketplace!! Easter Sunday, April 21, 2019. The Montrose Marketplace is a unique collection of vendors offering a wide array of collectibles, antiques, artisanal and hand-crafted products. The Marketplace runs in tandem with our popular Sunday Harvest Market. 10’ X 20’ Space: $75. The market is an “off-loaded” market, which means that our vendors may not sell from their vehicles unless required by civic ordinance. Vendors are allowed to pull their vehicles directly up to their booth space to unload. They are then required to park their vehicles in designated parking spaces. At the end of the market, vehicles are allowed to enter the event area for break down and reloading under the supervision of the Marketplace Manager. All vendors must provide their own canopies, tables, chairs and other equipment. Every booth must have a canopy and all equipment must be clean and in good repair. Electrical hookups are available for our vendors at no charge. Any use of electrical equipment is permitted under the supervision of the Marketplace Manager. Vendors may arrive for set up at the market no earlier than 7:00 AM and no later than 8:15 AM. MSPA reserves the right to “resell” booth space left unclaimed after 8:15 AM. All vendor vehicles MUST be removed from the market area by 8:30am. Booth spaces are reserved on a quarterly schedule. Vendors are not required to attend every Sunday and may select the dates that suit their schedule, subject to availability. However, all vendors must submit a quarterly schedule to the Marketplace Manager. Any vendor who cannot keep a reservation must notify the Marketplace Manager no later than the Wednesday prior to the Sunday market they will be absent. Schedules and cancelations may be submitted to the Marketplace Manager via telephone, in person at the market or via email. Booth space assignment is not on a first-come first-served basis and are determined by the Marketplace Manager. Booth assignments may change at any time. The Montrose Shopping Park Association is the sole sponsor of The Marketplace and also produces a number of special events, including Independence Block Party & Car Show, Kids ‘n Kritters Day, etc. These events also include the Harvest Market and The Marketplace. There is currently no additional charge to participate as a vendor in these events. Events which are not open to The Marketplace include: the Montrose Arts & Crafts Festival and the Montrose Halloween Spooktacular. All vendors must be juried by the Market Committee prior to acceptance into the Marketplace. Please note: submission of an application and/or any supporting materials does NOT constitute acceptance into the Marketplace. Marketplace Rules: Please click here for a copy of The Marketplace Rules & Regulations. at (818) 646-2880 and leave a message on extension 2.